Planning your home remodel is an exciting process. Whether you are planning a Seattle kitchen remodel, bathroom or an entire house remodel, here are 5 unique ideas help you transform your home into an inspiring space. Transforming an old garden shed into a backyard retreat is a wonderful addition to any home. Ideas are endless when it comes to transforming a garden shed into a creative and useful space. A whimsical artist space or writer’s retreat. A cozy guest room. A playhouse for the kids. A private and romantic summer get-away. Inspiration can help homeowners transform their old backyard sheds into amazing spaces. Add warmth, charm and ambience to two rooms with one fireplace. Seamlessly connect your interior sitting area to the exterior patio and bar with a two-sided, retractable glass door fireplace. Or, create a luxurious retreat with a two-sided fireplace between the master bedroom and bath. However you choose to use a two-sided fireplace in your home remodel, you will definitely create a dramatic focal point in your home. 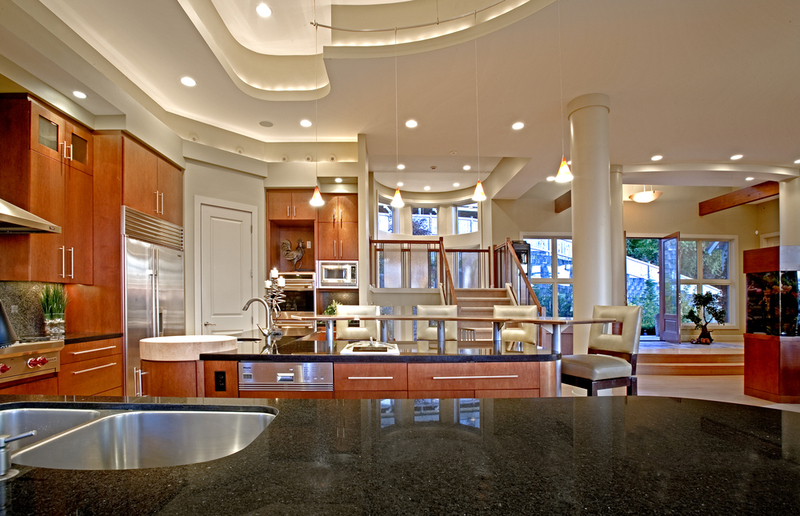 Designing areas of your home that cater to a specific activity bring a unique appeal to any home. These areas not only serve a functional purpose, but they quickly become the reasons why you love your house. Home office. When you’re integrating an office into another room such as the kitchen or living room, the first rule is not to let the work space stick out―aesthetically or physically. Keep to the room’s color and decoration schemes, and make sure the furniture doesn’t impede traffic flow. Make use of what’s already there (shelving, cupboards), and introduce elements (lamps, chairs) that can serve other purposes when the work is done. Baking station. If there’s an avid baker in the family, creating a special counter space in the kitchen to hold the baking essentials such as a mixer, bowls and utensils is a great idea. Having a special area in the kitchen dedicated to baking and storage for all the accoutrements will make baking projects enjoyable and clean up easier. Homework station. Create a bright and lively space that’ll get your kid’s creative juices flowing! Putting a desk in a space just outside the kitchen provides a bit of privacy for independent workers but keeps them close just in case they need homework help. Easy access to snacks is also a plus. The bar. Entertaining in your home is a breeze with a built-in, fully stocked bar. Whether you decide to build a fully-equipped miniature kitchen that can accommodate seating your guests and serving up hors d’oeuvres, or a niche carved out for glasses and bottles, having an inviting and accessible entertaining station is a popular home remodel idea. A master bedroom is an important place for escape, sanctuary and preparing yourself for each day. Adding a balcony off the master suite helps to create a peaceful and tranquil space from the rest of the family. Whether the view off your deck is of the Olympic Mountains or the backyard, the outdoor sitting area off the master bedroom is an oasis. This entry was posted in Uncategorized and tagged unique ideas for home remodel on March 19, 2014 by Seattle Kitchen & Bath Remodel Blog.